What are field descriptions used for? 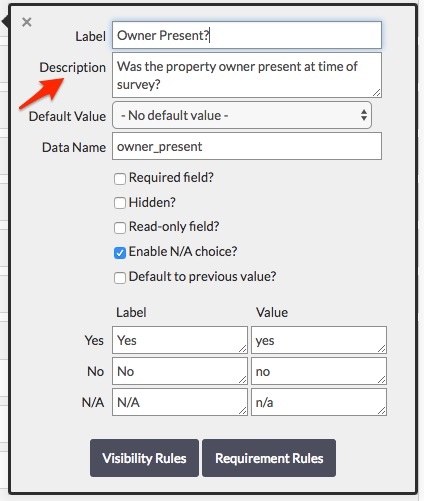 Learn more about the field description settings in your Fulcrum app. Inside the App Designer, each field you add to your design has a text description property that can be customized. This is visible during form entry through the small info icon in the upper-right corner for each field that has a description configured.